First, build 3 ec2 instances each in a different AZ’s. You should be more than ok with t2.large instance sizes. The subnets in the VPC can be private. If you have a private VPC make sure you have a nat gateway so that the instance can talk to the internet. Also, make sure that your instance has the RDS SG attached so it can talk to the database. 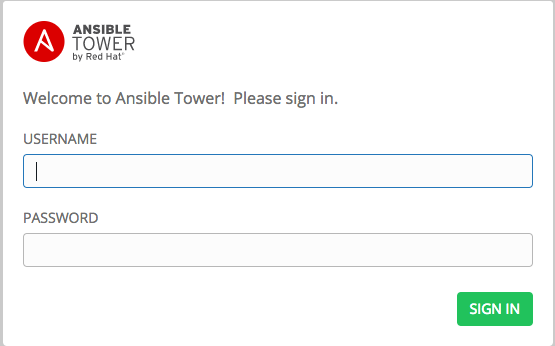 If the installation is successful you should no be able to login to one of the tower hosts via its public fqdn assigned by AWS. As we want to have a single entry point to the cluster we front end it with an ALB ( you will also need to have Route53 setup correctly for this to work) Go ahead and create the ELB. The cert and key for SSL can be found in /etc/tower. Make sure you upload the cert when creating the ALB. You also see that it spans across the 3 AZ’s. Lastly, create an alias in route53 pointing to the ALB. Congratulations if you read until here. 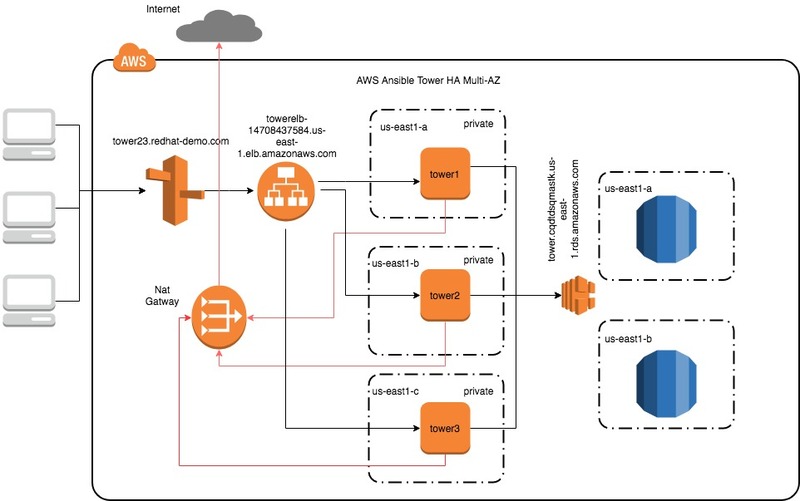 You now have a fully HA Tower installation with AWS managed ELB and RDS.